Mark DeVoto, Julie Ingelfinger, and Lee Eiseman collaborate in this review. Graceful chamber-music transcriptions of Mozart’s Piano Concerto No. 13 in C Major (K. 415) and 17 in G Major (K. 453) bookended pianist Meng-Chieh Liu’s tour-de force faculty solo recital at Jordan Hall last night. The illness and daunting physical challenges that once threatened his life somehow also served as an artistic refiner’s fire. Well known as a conductor, composer and Viennese musical force, composer Franz Lachner (1807-1895) wrote adaptations of many of Mozart’s piano concertos, leaving the piano parts largely untouched. Mozart himself considered creating such reduced domestic versions. Lachner’s chamber take on the lyrical yet sprightly K415, from 1782-3, provided fine support for Meng-Chieh’s nuanced artistry. NEC master students Maria Loudenitch and Abigail Fayette (violins), Tanner Meknes (viola), Timitheos Petrin (cello) and Justin Cheesman (double bass) accompanied with spirit, refinement and the outgoing chops of top young talent. The first Allegro’s military flare in the full orchestral version may be harder to appreciate in the quintet accompaniment, in which no winds or tympani are present, but the missing martial strains allowed the harmonies, with all their subtlety, to enchant. Liu rendered the Andante with vocal expressiveness. The final Allegro, initially elfin in its ebullient exposition, then slows into a C minor period, before resuming its pace with some further modulation, ending with the more rollicking rondo. Sergei Lyapunov (1859-1924) a nearly forgotten epigone of his mentor Balakirev, composed his Twelve Transcendental Ḗtudes for piano, Op. 11 in memory of Liszt. Beyond brilliant, they achieve a genuine virtuosic magnificence. The set continues Liszt’s key scheme — the same ordering as in the Chopin Preludes but in the reverse circle-of-fifths direction, F#-d#-B-g#-E-c#-A-f#-D-b-G-e. And like the Liszt Ḗtudes, Lyapunov’s fit the hands and fingers entirely naturally and flexibly but are enormously difficult to play. Liu assailed three of these Etudes with complete assurance. No. 1, Berceuse in F-sharp Major, is calm, befitting its name; Rachmaninoff could have written this lovely little piece. The score of No. 3, Carillon, carries a long Russian epigraph hinting at the big sound (bol’shogo kolokola) of a great church bell pealing back and forth; Meng-Chieh’s powerful arms and generous pedal gave the bells the requisite swing. No. 10, Lesghinka “in the style of Balakirev,” clearly modeled on Balakirev’s Islamey, is marked Allegro con fuoco in 12/16 meter. It sounds even more athletic than Balakirev’s furious essay. Liu traversed it with relaxed, but building concentration, ultimately thrilling us with all the necessary effort, fully and confidently mobilized. Only guitarists and pianists remember Isaac Albéniz (1860-1909) today — guitarists for early piano works transcribed for their instrument, and pianists for Iberia, a suite of twelve pieces in four books composed at the end of his career, when his style was distinctly and marvelously affected by his French contemporaries. Liu played three pieces from Book I: Evocación, El Puerto, and El Corpus Christi en Sevilla (better known by its French title, “Fête-Dieu à Séville”). 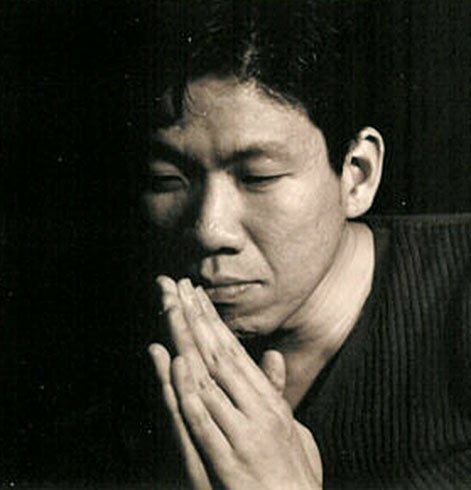 Evocación is a nocturne in the unusual key of A-flat minor, providing Chopinesque echoes through distant occasional whole-tone clouds and interspersed dissonances; Liu played it with focused amiability. The dissonant harmonic idiom becomes more prominent in El Puerto and even more so in Corpus Christi, in which the acciaccature tend to imitate the rasgueado (“scraped”) style of guitar strumming. Corpus Christi is a huge piece, demanding more sound than two hands can really produce on one piano, from ppppp to fffff , but it is strikingly effective in its complex brilliance. Liu produced overwhelming sonic force without ever producing a shattered tone. Peppering the Corpus Christi with seemingly impossible double notes, and suffusing it with Technicolor layers, he laid down something unruffled but heroic. Mozart’s K. 453, perhaps the evening’s only familiar work, employed the Borromeo String Quartet (Nick Kitchen, Kristopher Tong, violins; Mai Motobuchi, viola; and Yee Sun Kim, cello) with Cheesman on double bass as the superb collaborators. If we missed the winds and full orchestra here more than in the earlier K. 415, Liu’s reflective artistry, together with Nick Kitchen’s elegant soloistic turns in the first chair, and the refined string quartet inflections of the Borromeo+ more than compensated. But Liu’s moments alone with his instrument cast the most transcendental spells. I have heard Meng-Chieh Liu play several times and have been stunned (in a good way) every time. He is a treasure that we are lucky to have in the Boston area. His Mozart was simply gorgeous and elegant, and without flamboyance or affectation. The contrast between the first concerto and the second was stark. I refer not to Liu’s playing which was stellar in both. The group who accompanied on the first concerto provided what I thought to be a perfect “simulation” of orchestral accompaniment. Their playing was balanced dynamically with the piano, and stylistically consistent with Liu’s approach. Special kudos to violinist Loudenitch for her lovely playing. To my tinnitus-tinged ears, the second concerto was an artistic mish-mash, and I had to fight through the orchestral parts to focus on Liu. Borromeo brought their own style to the concerto, and they seemed intent on dominating the action. So it sounded like a string quartet (+ double bass) with piano accompaniment. Nicholas Kitchen, in particular, used excessive vibrato and varying intonation that inescapably grabbed my attention and perceptually masked the piano. It reminded me of a performance of Carmina Burana I heard at Symphony Hall about 10 years ago. My seat was at the back of the Hall, but one soprano in the chorus was doing a vibrato that measured 7.1 on the Richter scale and she overshadowed the rest of the chorus. I don’t know enough about string playing, so I solicit everyone’s expertise on this: In symphonic playing, the string players are usually using vibrato, but the sensation for the listener is totally different than it would be for a single player using vibrato, presumably because the vibrato from each player is not perfectly matched, in timing or in pitch range, amongst the players. It really doesn’t sound (to me) like vibrato at all. So when a single string player is playing a transcription of an orchestra’s violin part, wouldn’t it be appropriate for the player to throttle back on the vibrato? Especially when there’s a fixed-pitch instrument like a piano featured on stage? One can somewhat agree that the Borromeo sounded too much like a string quartet, especially Mr. Kitchen’s warblings. But this is not about vibrato.